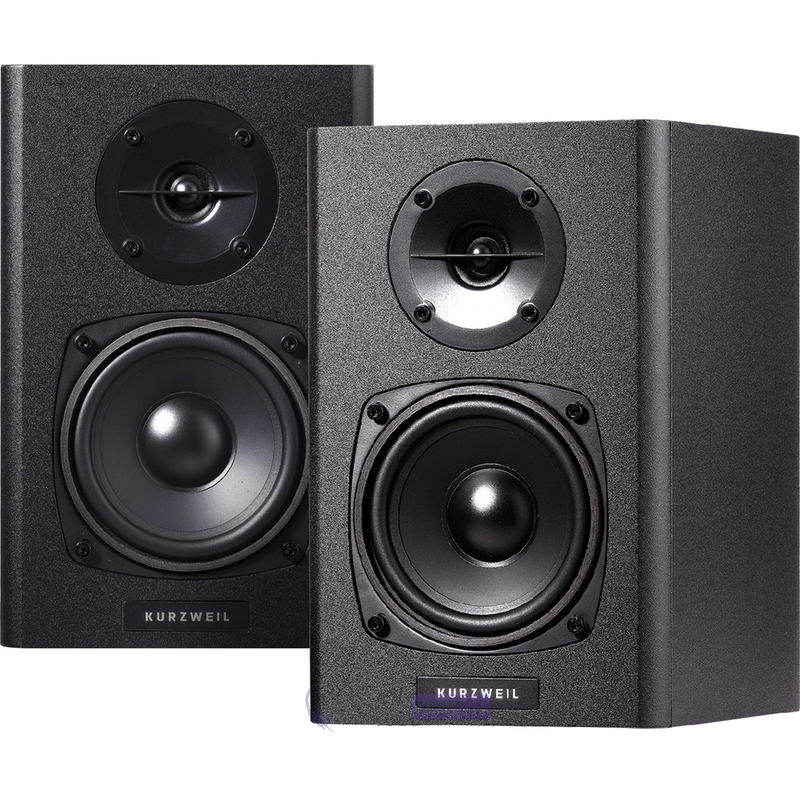 Kurzweil KS40A Active studio monitors combine build quality, sound quality and value for money. 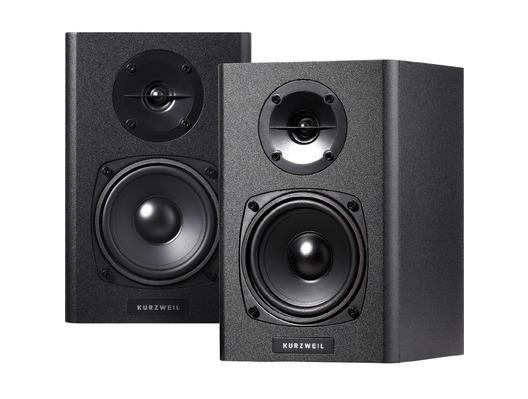 It's hard to beleive that you can obtain such a legendary brand of studio monitors from Kurzweil at this low price level. The Kurzweil KS40A sound so good for their size that we at whybuynew now use them in our showroom for demonstrating high-end midi controllers. The Vocal quality is good and the bass response from that little bass driver is amazing! We really do recommend these KS40A monitors. Think of them as buying a really good set of hi-fi bookshelf speakers but in an active studio monitor. Here we have the Kurzweil KS40A Active Studio Monitors in new and manufacturer refurbished which will come boxed 'as new' with a 1-year warranty. Buy these amazing monitors with confidence with 100% satisfaction guaranteed or your money back! Perfect for what i need them for, i.e. low level monitoring. I bought this speakers, because I needed small , but good speakers. They were presented as studio monitors , which they are not - they are studio like ! They are not even louder than 15 yrs old mi system ( some of the cheap ones) and they sound bad. The bass is not accurate and start purring after 60% of volume. And after all I had to send them back and pay postage 17 pounds and they cost 60! Just to say I know they are cheap and small but they must sound much better than this. 15 pounds sub woofer for pc sounds more accurate !!!!!! !